The opioid crisis in America is real, it is lethal, and it may be killing the nice family that lives next door to you. More people are dying of opioid overdoses than died of AIDS at the height of the epidemic. The death toll is nearly twice that from global terrorism. The crisis is so bad that it seems to be “raining needles”; 13,000 discarded syringes were collected last March in San Francisco, compared with 2,900 in March 2016. Coroners are experiencing personnel shortages and equipment failures across the U.S. In Berkeley County, West Virginia, two-thirds of the emergency-medication budget is now spent on Narcan, used to treat overdoses. Doctors are getting blamed. 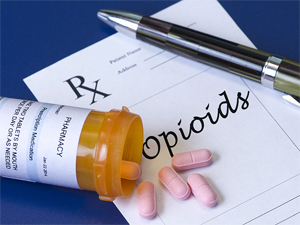 More potent oral drugs became available, and guidelines for using them in chronic pain liberalized in the “Pain Decade” of the 1990s. So why are we having the epidemic now, when medical opinion is shifting in the opposite direction? Between 1999 and 2011, annual opioid deaths nearly tripled, from 8,048 to 22,784, and the trend is accelerating. Probably not coincidentally, participation in the U.S. labor force started to decline at the same time, dropping to an all-time low of 62.4% in 2015. While many people evidently have trouble finding a job, one building contractor said he has trouble finding workers who could pass a drug test and did not have a criminal record. The decades-long War on Drugs has obviously failed. 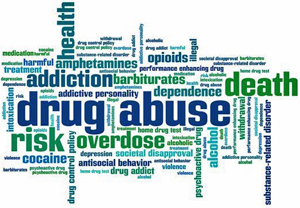 Some recommended legalization, to reduce the profits from illicit drugs. That option is being tried for marijuana in some states. The odor of maturing marijuana plants in rural Oregon has become so pervasive that people worry about getting a “second-hand high.” And the drug cartels’ profits did suffer. So the Sinaloa drug cartel diversified into the heroin business. Mexican heroin is of very high quality, and is cheaper than OxyContin. Legalizing what was formerly called the “gateway drug” obviously hasn’t reduced heroin use. 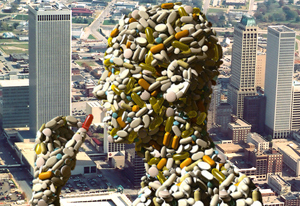 The new gateway is now said to be prescription painkillers, and the chief villains are claimed to be legal pharmaceutical manufacturers, doctors, and pharmacists. Because of multiplying regulations and physician prosecutions, patients who urgently need pain relief are being left in agony. But the ODs continue to mount, mostly on drugs not stocked at Walgreen’s — such as heroin laced with fentanyl, an extremely potent synthetic opioid. What is going on? On the demand side, Americans are well indoctrinated by the sea of advertising about taking a pill for every ill. Nearly 70 percent of Americans take at least one prescription drug. Then there is the pervasive culture of instant gratification and moral relativism. As Paul Harvey predicted in his classic 1965 monologue “If I Were the Devil,” these trends would lead to metal detectors and drug-sniffing dogs in schools. On the supply side, profits are enormous. The largest seizure to date of 63.8 kg of powdered fentanyl plus 30,000 counterfeit drug tablets, found in a tractor-trailer rig at a checkpoint near Yuma, Arizona, had a street value of $1.2 billion. Most of the fentanyl comes from China — a turnabout from the Opium Wars. In the 18th and 19th centuries, the British smuggled Indian opium into China, selling 1,400 tons per year in 1838, writes Dr. Marilyn Singleton, with devastating effects on the Chinese economy and political stability. Where are the drug-sniffing dogs in schools where children are known to be getting addicted? And if taxi drivers know where the drug trades are happening, the police know too, and yet they continue. Huge money-laundering operations by the transnational drug cartels continued for years in upscale Florida suburbs despite undercover penetration by police. 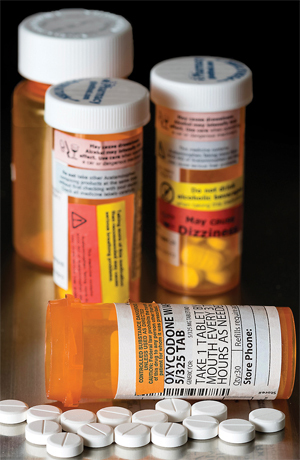 While pouring billions into costly treatment methods with a one-year failure rate of around 90 percent, the government continues to provide “free” opioid prescriptions to Medicare and Medicaid enrollees, some of whom sell them on the street. And the Massachusetts attorney general shut down a network of sobriety-centric primary-care-based clinics with an astonishingly high success rate and imprisoned the founder, Dr. Punyamurtula Kishore. His alleged crime: ordering too many urine tests. Is there any way that such massive international trafficking could thrive without some level of political protection? And is the government attempt to remedy the problem making it worse? She is currently president of Doctors for Disaster Preparedness. Since 1988, she has been chairman of the Public Health Committee of the Pima County (Arizona) Medical Society. 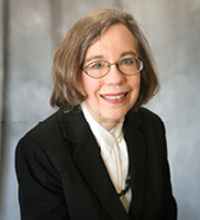 She is the author of YOUR Doctor Is Not In: Healthy Skepticism about National Healthcare, and the second through fourth editions of Sapira’s Art and Science of Bedside Diagnosis published by Lippincott, Williams & Wilkins. She authored books for schoolchildren, Professor Klugimkopf’s Old-Fashioned English Grammar and Professor Klugimkopf’s Spelling Method, published by Robinson Books, and coauthored two novels published as Kindle books, Neomortsand Moonshine. More than 100 of her papers have been published in the scientific and popular literature on a variety of subjects including risk assessment, natural and technological hazards and nonhazards, and medical economics and ethics. She is the editor of AAPS News, the Doctors for Disaster Preparedness Newsletter, and Civil Defense Perspectives, and is the managing editor of the Journal of American Physicians and Surgeons. This entry was posted in National, Science on October 6, 2017 by admin.